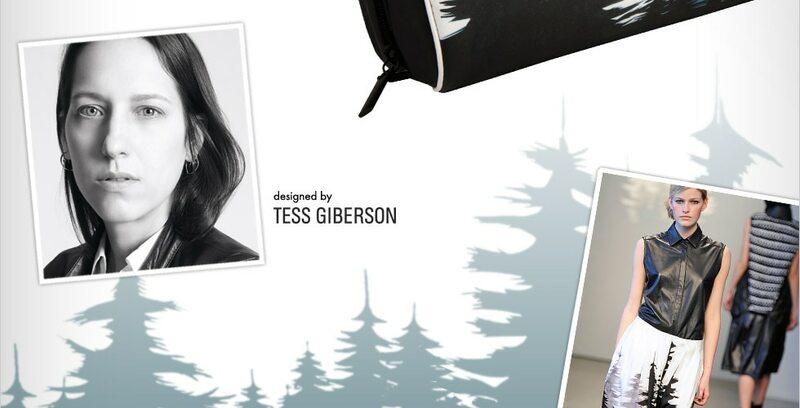 Beauty.com®, a division of drugstore.com, inc., is ringing in the holiday season by offering the exclusive Winter Forest Bag by noted designer Tess Giberson as a free gift with purchase. The product-filled bag is available only on Beauty.com for shoppers who spend more than $125 at the prestige beauty retailer. This holiday season’s first designer offering is available while supplies last and can be found at www.Beauty.com/TessGiberson. The Winter Forest Bag is decorated with tree silhouettes in icy blue and black. With a large, spacious interior and 2 internal side pockets, this winter-themed bag is perfect for separating toiletries and cosmetics. The cotton bag is coated making it easy to clean. Each Winter Forest Bag comes filled with 13 prestige beauty samples in both deluxe sample and full sizes. The bag and its contents have an approximate combined retail value of more than $125. While looking to spend $125 on Beauty.com, customers can shop the Holiday Gift Guide and find suggested gifts in categories including Tools, For Him, Value Sets, Pretty Packages and more. New items that are great for gifting include sets from Bliss, BeautyBlender and L’Occitane. With free shipping over $35**, shoppers can get holiday-party ready with new products like the Too Faced Melted Kisses set, Laura Geller’s Color Brilliance Trio and BareMinerals Touch-Up To Glow. Customers browsing for winter skincare products can look to Beauty.com for offerings from top-rated brands like Dr. Dennis Gross, Origins and Erno Laszlo. Other Beauty.com benefits include 5% back on every purchase, the free sampling center and a shared online shopping cart with Beauty.com’s partner site, drugstore.com. *** On the Beauty.com blog Beauty Close Up, Beauty Director-at-Large Romy Soleimani shares seasonal tips with customers as well as behind-the-scenes exclusive looks from New York Fashion Week and editorial shoots. Other great site features include “My Life in Beauty,” an intimate Q&A session with brand experts, and “Guest Editors,” where celebrities and influencers such as Emily Kinney, Tracee Ellis Ross and more share their Beauty.com must-haves. Will you be shopping on Beauty.com? Previous Review, B/A Photos: White Sands The Cure 24/7 Split End Mender Leave In Treatment – The First “Blur” Cream For Your Hair! Next Review, Before/After Photos: The Body Shop Instablur All-In-One Primer Works Well Alone Or Under Makeup!